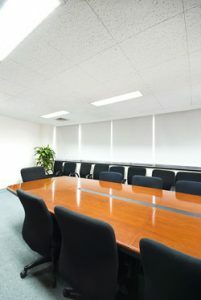 If you are in search of office furniture for your commercial or home office in Norcross, Georgia, or another nearby community, then look to the professionals at NorthPoint Office Furniture. We are a family-owned company that has provided businesses throughout the area with high-quality new and used furniture since 1994. Our friendly and experienced employees are committed to ensuring your experience with us is as easy and pleasant as possible. We work closely with our customers to find a solution that best meets their needs. After learning about your ideas for furnishing your space and determining your budget and timeline, we’ll educate you on what selections are available and recommend the best options for you. In addition to helping you select office furniture that meets your requirements, we will also provide you with planning and layout recommendations so you get the best use out of your space. Plus, we’ll even take care of delivery, assembly, and installation at no additional cost. To learn more about the office furniture options that we have available for businesses in and around Norcross, GA, contact NorthPoint Office Furniture today.